Before we proceed, if by some anomaly you haven’t heard Special Request’s sublime 2013 jungle revival LP Soul Music then you need to stop reading right now and go and listen to it. No really. Off you go. Joking aside, the 2013 arrival of Paul Woolford’s Special Request alias saw new life being inserted into the jungle sound, as the classic vibe and spirit of 90s rave culture were combined with the power of the modern mixdown to create something that transcended mere nostalgia. These tracks are unmistakeably informed by jungle, but melded into something slightly different, and not just because of the obviously lower tempo of most of the productions. Enter Detboi, much championed by Woolford and clearly tapping into the same vein with his releases for the likes of Keysound. His latest work for Metalheadz could be his best yet, featuring simple but rich analogue bass, chunky breakbeats, classic samples and tons of atmosphere. There isn’t much more that needs to be said honestly; the music more than speaks for itself so check out the clips below and channel your inner 90s raver. 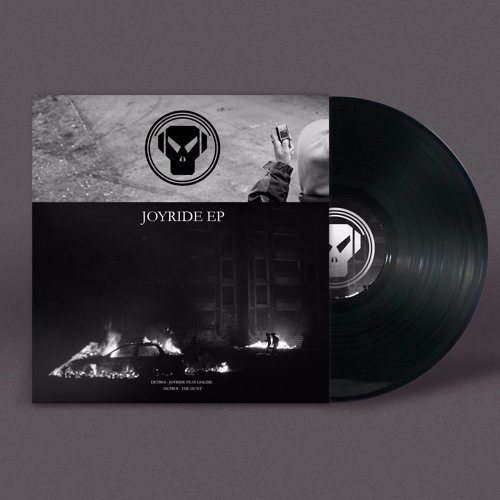 The Joyride EP is out now at the Metalheadz store.